Make a vid of the cleaning if you want to. 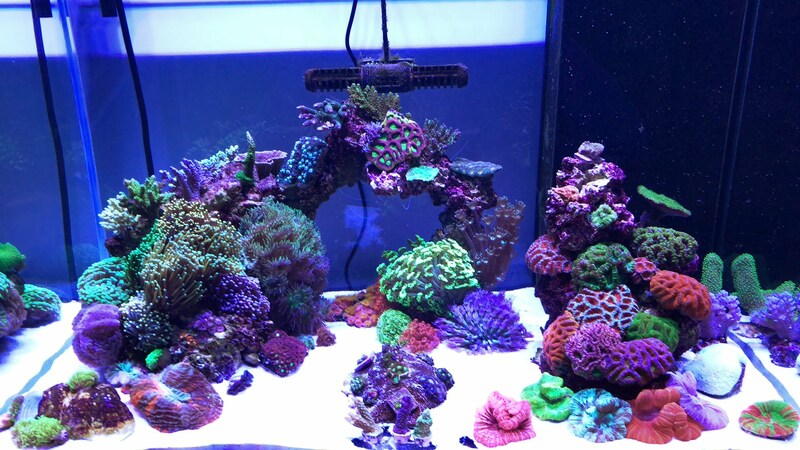 It has been a few weeks and the ATS has been going strong, averaging 50-60grams of squeezed algae a week after harvesting. My tank in general is doing fairly well too. Is it possible that the ATS is consuming too much carbon dioxide from the water and therefore preventing the reaction with Kalk that produces Alkalinity? Effectively drastically reducing the potency of my Kalk? I'm no chemist but I am struggling to understand how Kalk doesn't even appear to be making a dent in my Alk consumption. Its dropping roughly 1-2 DKH a day despite the ~3.75 Liters of Kalk being added a day. I have a 25L auto top off, and have been running 40g of Kalk in it, the 25L last exactly 1 week at my current rate of evaporation. Just yesterday I changed my dose to 50grams of Kalk, 200ml of Vinegar and 25L of RODI. Looking good. Monti is probably just a freak. How has been the calcium? My calcium drops too, just slower, I think its dropping roughly 3-4ppm per day. Everytime it drops below 400 I top it back up to around 420. I am manually dosing calcium chloride roughly once a week. Well it does seem the alk is dropping much faster. A strong scrubber can reduce alk by 1 point per day, so it seems that is what is going on, even though yours is the most I've seen. 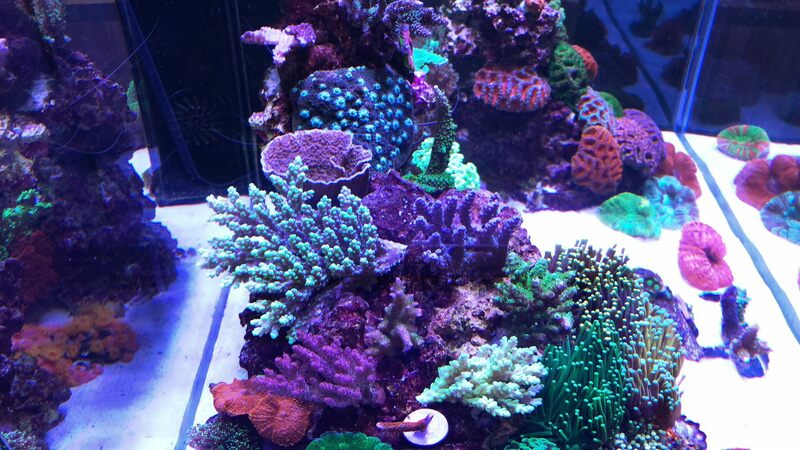 If there were more corals and coralline growth, and if calcium usage was higher, I'd say it was calcification. But it seems it's just scrubber growth. The scrubber is probably not slowing down the kalk; it's just that kalk is not the most/fastest way to get alk into the water. I like kalk whenever possible, but even with vinegar, it has limits. But since your calcium is not dropping much, I'd say the kalk is keeping up. Of course you could try over-saturating with more kalk; the excess just settles to the bottom. Matter of fact if you don't get settling then it's probably not saturated. One thing I've been meaning to try is to put the baking soda into the kalk water. I don't know how much more alk that water could hold, if any, but if the soda dissolves then it's probably working. 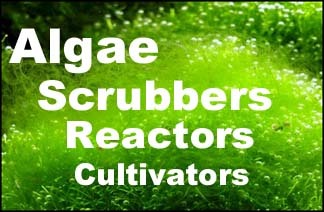 Other than that, you can be happy that your scrubber is growing fast and is carbon-limited; usually scrubbers are nutrient-limited. Seems my Alk has gone from 7.1 to 7.3 (gone up) for the first time ever from Kalkwasser... I have no dosed any 2 part or sodium bicarbonate... yay! Will continue monitoring closely this week but here's to hoping this means I don't need to invest in a doser and automated 2-part setup at this time. Also could use the old trick of putting a fan on the sump to evaporate more, so you can top-off more. Yeah thanks, I'll keep that up my sleeve if I need it. For now it seems this weeks dose of 50grams of Kalk, 200ml of Vinegar and 25L of RODI seems to be meeting my demand. If my Alk is still in the low 7 range by Sunday when I need to mix a new batch I will run the same again next week. Looking promising so far.